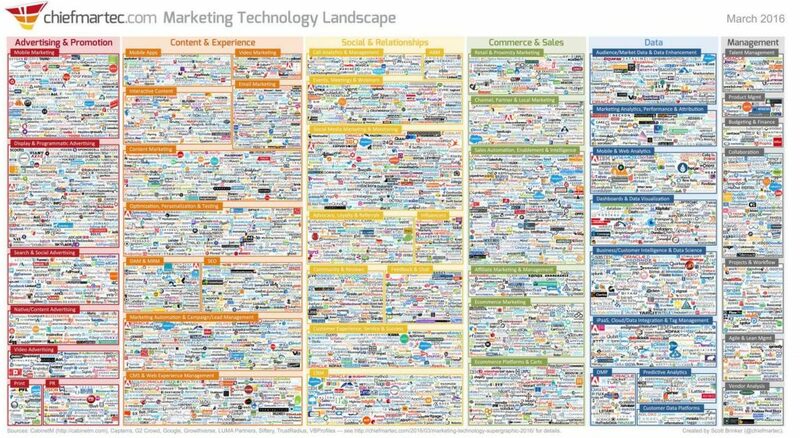 A martech roadmap is an important element of any optimisation process as technology is continuously changing and new opportunities constantly arise. For this reason conversion rate optimisers should be regularly reviewing their martech requirements. Not all martech will of course help improve conversion and so testing is an essential part of the martech evaluation process. Here is a link to this Martech infographic which shows almost 4,000 companies that are part of the marketing and technology landscape.